And today she is still an avid climber whose goal is to move with elegance on the rocks. The famous Canadian mountaineer relaxes into her chair at a French-styled caf in Canmore, content after a rainy morning spent clambering up a climbing wall with one of her adult sons. Sharon Wood considers her relationship with her family as important an accomplishment as that cold May evening in 1986 when she became the first North American woman to reach the summit of Mount Everest. “[Everest] changed my life, but it’s a true life highlight when your kid is proud of you,” says Wood, 59, wearing climbing pants and a lime-green fleece with matching socks. In person, she is as colourful as those socks, quick-witted and insightful, whether describing her relationship with her ex-husband (“Establishing a new and loving relationship with my ‘wasbund’ – that’s probably my greatest accomplishment”), or the world’s highest peak (“It flays your character to the bone and you really discover who you are up there; it’s sometimes not that pretty”). Raised in Vancouver, Wood was 12 when a guide harnessed her and her father to a rope and took them up Sky Pilot Mountain in B.C.’s Coastal Range. By 17, Wood was dedicating all her free time to climbing. 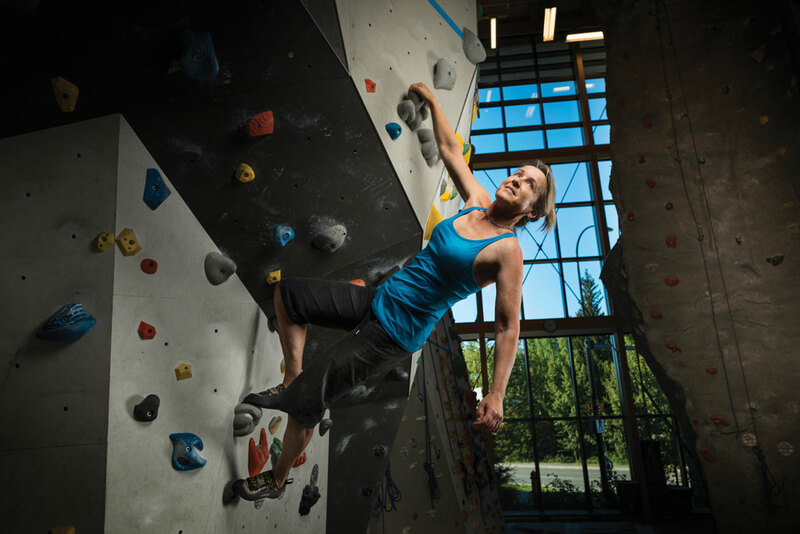 As soon as she had her high school diploma in hand, she left Vancouver for Canmore, eager to work as a climbing instructor. She never left, becoming the first female certified alpine guide with the Association of Canadian Mountain Guides. Wood turned 20 on Canada’s highest peak – Mount Logan in the Yukon. She proceeded to climb major peaks around the world, among them Denali (formerly Mount McKinley) in Alaska and Mount Makalu in the Himalayas. She and her climbing partner, Carlos Buhler, also reached the summit of Huascaran Sur, Peru’s highest peak, via a route that had only been partially climbed at that point, and despite Wood being knocked out and cracking her shoulder bone when she was hit early on by falling rocks on the mountain face. Wood and one other teammate made it to the summit. They had time for the quickest of photos atop Everest at sunset before descending back down in the dark. In the photo, Wood’s wind-burnt face peeks out from under ski goggles and a yellow hood. Her groundbreaking achievement earned her the inaugural Tenzing Norgay Trophy, presented to her by none other than Sir Edmund Hillary, the late New Zealander whose 1953 summit with Sherpa Norgay is credited as being the first. In the years following Everest, Wood scaled down her big-mountain climbs. She married, had two sons and focused on instructing and guiding closer to home. She also co-founded and ran the Mountain Gate Community School, a small, private, accredited kindergarten to grade six school in Canmore while her sons were school-aged (both are now in their 20s). These days, Wood has entered into what she calls “pretirement” – staying busy by teaching climbing at Canmore’s Elevation Place, running an introduction to mountaineering course for women and leading guided hikes and climbs for Yamnuska Mountain Adventures. That’s in addition to the Nordic skiing and climbing she does for fun and the time she’s spending on writing her memoirs. 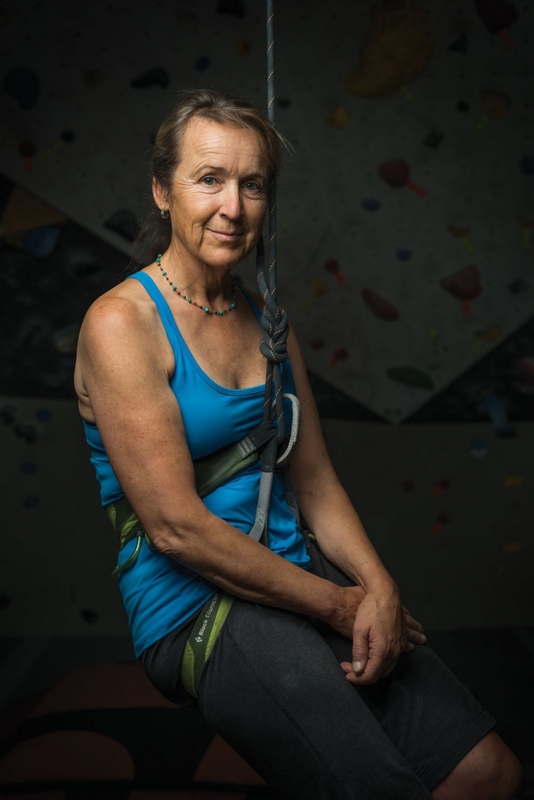 In her “pretirement” years Wood holds the same attitude about mountains as she did in her younger years – that it’s the process of exploring, not the height of the mountain, that drives her. She’ll admit she finds “this aging thing” a bit tricky, though. She gets tired faster now and doesn’t have the same strength she once did. 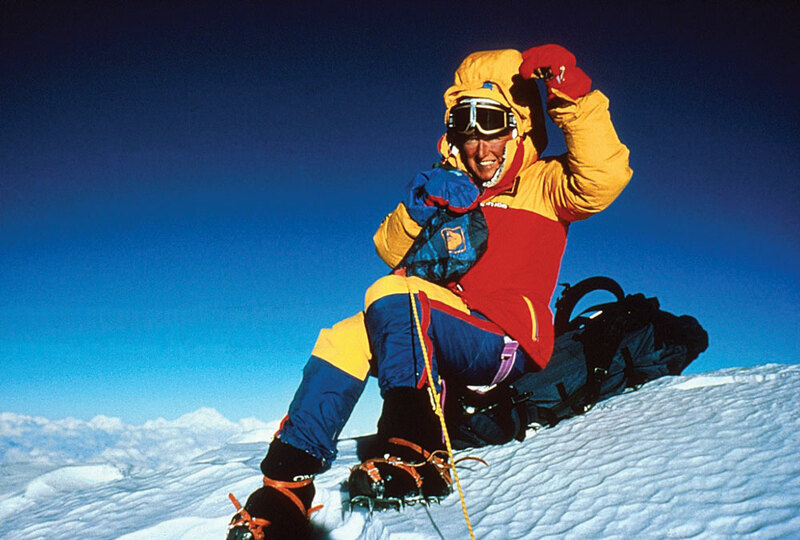 Sharon Wood at the summit of Mount Everest, 1986. Climbing at Elevation Place in Canmore.